Results from the largest public opinion poll in the Arab world indicate that Alhurra, the U.S.-funded Arab satellite station that has cost U.S. taxpayers more than half a billion dollars, is the least-watched station in the region and is losing viewers. The annual poll, by the University of Maryland and Zogby International, was conducted in Egypt, Morocco, Jordan, Lebanon, Saudi Arabia and the United Arab Emirates. Residents there were polled on a wide range of issues including their views of U.S. foreign policy, the American presidency and their media habits. 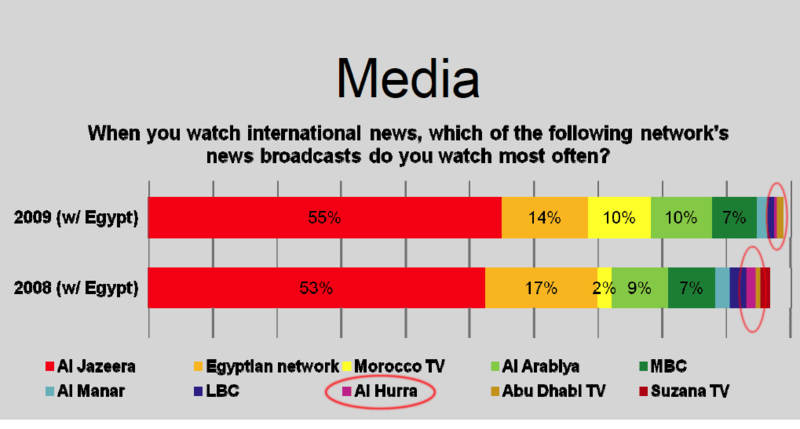 The 2008 poll showed Alhurra with about a 2 percent audience share across the Muslim world's largest and most-influential countries. That share fell in this year's poll to 0.5 percent. Shibley Telhami, a leading Middle East expert at the University of Maryland and The Brookings Institution in Washington, D.C., said Alhurra's rating was so low that for the first time, it fell below the poll's margin of error. "Alhurra is at the bottom of the list of stations," Telhami said in an interview. "It was low last year too, but obviously the numbers don't look good for them. It doesn't mean people never watch Alhurra – they surf and watch multiple stations. But it's not where they go for news, and those numbers were consistent from country to country," he said. Letitia King, spokeswoman for the Broadcasting Board of Governors – the U.S. agency that oversees Alhurra –preferred the BBG's own data, which measures "audience reach" rather than audience preference. "Alhurra now reaches 26.7 million people weekly across the Middle East, up almost one million in the last year," King said. "These are solid numbers by any measure for a foreign broadcaster," she said, noting that Alhurra faces intense media competition and operates in a region with high anti-Americanism. 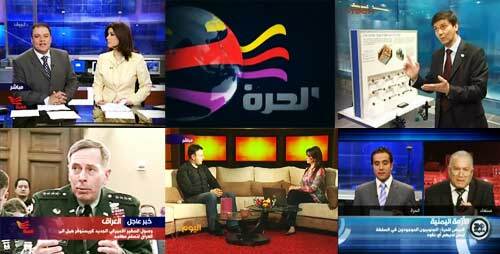 Although King said Alhurra can be seen by more people now, the BBG reported in its budget request for fiscal year 2010 that Alhurra's Iraq broadcast is currently the fifth most-watched station in the country. Last year, the BBG said Alhurra was fourth in that market. Telhami doesn't poll in Iraq. Still, its reach was not enough to lure President Obama on camera. Obama appeared to snub Alhurra in the earliest days after his election when he gave his first interview with an Arab language network to the more popular, Saudi-based Al Arabiya. 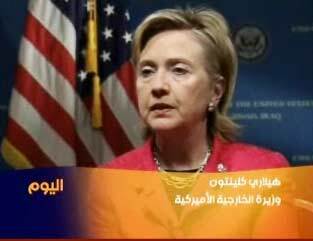 Alhurra has since interviewed Secretary of State Hillary Clinton, who is a nominal member of the board that oversees Alhurra. Despite the low ratings and a series of managerial and content problems, Alhurra continues to expand and spend. Since it went on-air in February 2004, Alhurra has cost U.S. taxpayers more than half a billion dollars. Its budget in the last two years alone has grown 20 percent. In 2008, it spent close to $100 million on a new three-hour morning show that began airing five days a week in March and hired 150 people in the Arab world to work on the show. It also plans to relaunch the station's Web site. The Broadcasting Board of Governors has asked Congress to increase Alhurra's funding from $110 million in 2009 to $113 million for 2010. Alhurra, which broadcasts out of studios in Springfield, Va., and employs 650 people, many of whom were hired and moved to the area from the Middle East, was the brainchild of the former Bush administration. The station, and its sister radio network, Sawa, were created to compete directly with Al-Jazeera, the longtime media dominator of the Arab-speaking world. According to the University of Maryland poll, Al-Jazeera is still the No. 1 source of news for 55 percent of the Arab world. In launching what would be the largest and most expensive public diplomacy effort in decades, Bush administration officials said the networks would disseminate the truth about the United States to an Arab world that had been fed misinformation from anti-American broadcasts. Both Alhurra and Sawa report to the BBG, which houses all overseas government broadcasting, including the Voice of America. A 2008 review of the federal workforce, conducted by the Office of Personnel Management, placed the BBG at the bottom of 37 government agencies in all four performance indexes measured by the office. 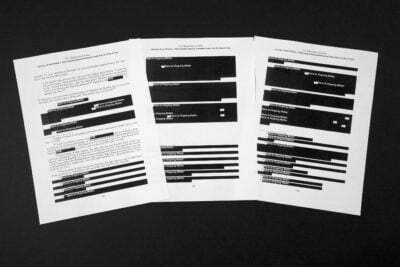 The list was not made public by the Bush administration, but Joe Davidson, a Washington Post columnist who writes about the federal government, obtained and published a copy in March. King, the BBG spokeswoman, noted that the survey was conducted during a difficult time for the media industry as a whole. "Our experience, including the uncertainty of possible job losses, as we retool and shift to match media changes, is not unique." When asked how the BBG ranked in previous surveys, she said the agency's scores were "about the same." 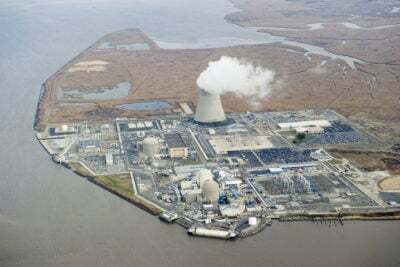 She said BBG management was responding to issues raised by its employees in the survey "through a series of actions to improve communication and leadership" and working "to understand and address underlying concerns." Alhurra was the subject of a joint investigation launched in June 2008 by ProPublica and CBS' 60 Minutes. The investigation and a series of ProPublica articles revealed serious staff problems, financial mismanagement and long-standing concerns inside the U.S. government and Congress regarding Alhurra's content. Joaquin Blaya, a BBG board member who was appointed to the agency by President Bush, dismissed the series recently as "old news." But a recent study, commissioned by the BBG and conducted by the University of Southern California's Center on Public Diplomacy, found persistent problems. The center's report concluded last summer that Alhurra fails to meet basic journalistic standards, suffers from poor programming and is plagued by perceived bias. The BBG attempted to withhold the USC report from public scrutiny but was forced by Congress to make it public. ProPublica's stories and others led to congressional inquiries in the House and Senate last summer. Blaya has declined to speak with ProPublica but met with congressional investigators who are reviewing Alhurra's work last fall. In an interview with The National, an English-language newspaper in Abu Dhabi, Blaya said Alhurra has the support of the Obama administration and Congress. 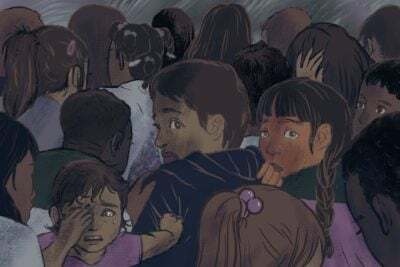 However, a senior administration official told ProPublica that Alhurra's future is under review and that no decisions have been made. International broadcasting has long been a sore spot for lawmakers who often support the notion of using broadcasts to influence foreign audiences but question the end results. Some congressmen limit their focus to broadcasts that target specific countries of interest to their constituents. But some efforts have few patrons. Both the BBG and Alhurra have reached out to Sen. Ted Kaufman (D-DE). Kaufman was copied on an e-mail from Alhurra's president, Brian Conniff, congratulating the station's employees for their coverage of the November 2008 presidential election. Kaufman had served as a member of the BBG board, alongside Blaya, for the last decade. He stepped down after the election to fill the Delaware Senate seat vacated by his close friend and former boss, Vice President Joe Biden. Kaufman's interest in Alhurra is unclear. He was still on the board when it received copies of the USC study but his focus as a board member was on broadcasting into China. One official who is likely to have a significant impact on Alhurra is Judith McHale, the new undersecretary of state for public diplomacy. McHale's predecessors in the Bush administration struggled to defend or resolve systemic problems at Alhurra. But McHale's background is in television programming and international broadcasting. She was the president and CEO of Discovery Communications and instrumental in developing Discovery Channel, which now has 100 channels telecast in more than 170 countries and 35 languages to more than 1 billion subscribers. McHale is close to Secretary Clinton and one administration official said she is now reviewing memos written by transition team members on Alhurra and the BBG. The Obama administration's transition report on international broadcasting was sharply critical of Alhurra, according to a person who served as a consultant. The team was led by Ernest J. Wilson III, dean of the Annenberg School for Communication at USC. "The BBG was incredibly resistant to making any changes on Alhurra. I don't know what it will look like a year from now but no one on the transition team thought it was working," said the consultant, who offered to share private deliberations on the condition of anonymity.